The all new Ford Mondeo looks set to make a huge impact when it is finally launched with a wider range of engines including a hybrid electric vehicle to choose from. Ford says that the powertrain range for the Mondeo will be the most technically advanced in the 21 years since first being launched, offering an impressive range of refined engines with some excellent high-performance units. Among the innovations is the first hybrid Mondeo, a petrol electric combination, which will feature Ford’s excellent 1.0litre eco-boost petrol engine. There’s also an enhanced 2.0 litre TDCi diesel engine which has reduced CO2 emissions and which should return around 69 mpg. The new Ford Mondeo is also the first to feature the firm’s much anticipated 1.5 litre EcoBoost petrol engine, though this is also a highlight for the new Ford Focus range too. There’s also an impressive new and refined 1.6 litre TDCi diesel unit. 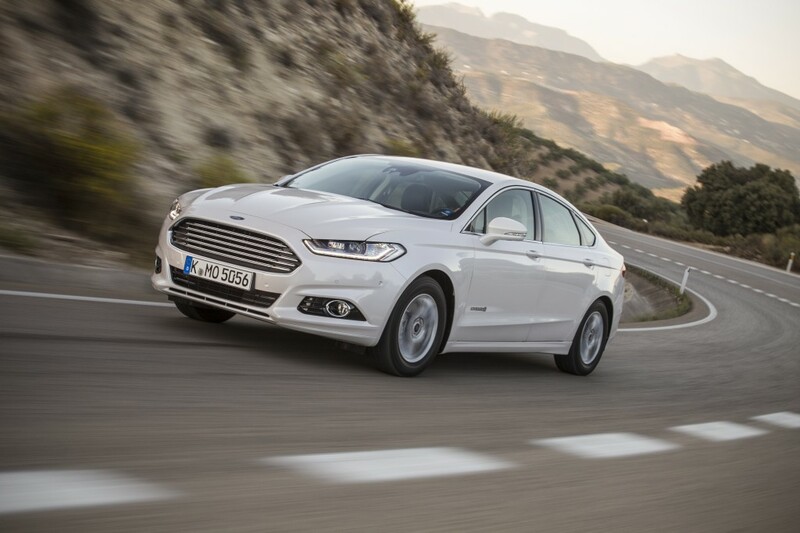 A lot of attention will be brought to bear on the Ford Mondeo Hybrid which has an 85 mph top speed in electrical mode which will work in conjunction with a 2.0 litre petrol engine to help deliver 67 mpg and CO2 emissions of just 99g/km. There’s a wide range of technical innovations to including a very useful ‘Smartgauge’ interface which will help the driver monitor fuel and energy consumption by, among many things, encouraging gradual braking to return energy to the battery. The designers and engineers have also been hard at work on the Ford Mondeo which is promising excellent levels of driving enjoyment. Ford says there are many new ‘best in class’ features including a new cooling system and interior noise levels have been reduced. There’s also a new 10 inch digital analogue instrument display on the dashboard, heated steering wheel, powered tailgate and a steering column with memory. The Ford Mondeo will also feature the firm’s new SYNC2 voice control system to help for easy operation of the phone, climate, entertainment and navigation systems. Like other cars in the sector, the new Mondeo will also have active park assist, which features perpendicular parking so anyone can park easily in a suitably sized parallel parking space. There’s also a system for hands-free reversing into parallel spaces whether on the road or side-to-side with other vehicles. It goes without saying that the same system can also help the driver pull out from the same spaces. The new Ford Mondeo will go on sale from December. This entry was posted in Car Leasing, Car Updates & Releases, Cars, Executive Cars, New Cars and tagged ford mondeo, lease the ford mondeo, new ford mondeo by Steve Lumley. Bookmark the permalink.